After a early breakfast proceed half day sightseeing tour of Delhi where ornate buildings recall the days when India was the Jewel in the crown of the British Empire. 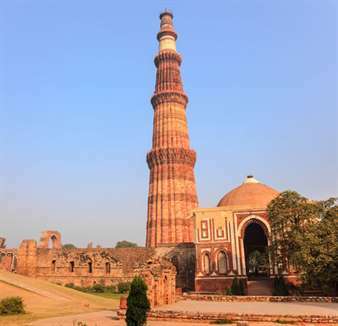 Visit the India Gate and the grand Government buildings, the President's House, Mahatama Gandhi Memorial and also visit Laxmi Narayan temple popularly known as Birla Temple 11th century Qutab Minar. time to enjoy the Rajasthani dinner, dance and music, a perfect end to a lovely day. Overnight stay at Hotel. After breakfast proceed by road to Jodhpur. Enroute visit the Ranakpur Jain Temples. Ranakpur is widely known for its marble Jain temple, and for a much older Sun Temple which lies opposite the former. In general, the Jain temples of Ranakpur present a distinct style of their own. The ceilings of the temples are adorned with foliate scrollwork and geometric patterns. The top and bottom part of the domes are joined by Brackets with figures of deities on them. 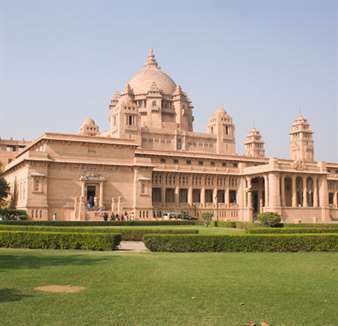 Arrival in Jodhpur and visit the Umaid Bhavan Palace Museum. Evening at leisure and over night stay in Jodhpur. Check out of the hotel after an early morning breakfast and start the day with the morning sight seeing of Jodhpur which includes the massive Mehrangarh fort (This massive Mehrangarh fort came first and around it grew the city of Jodhpur protected by a high stone wall with seven gates and countless bastions) enroute Osian. On arrival at the resort we begin our adventure of the camel safari. Packed lunch will be served in the afternoon arrival at village Bikamkor with a packed lunch. On arrival you will be met by our Safari staff and Camel riders. Then start your Camel Safari for village Dabdi, a two hour ride. Just before sunset, arrive at your exclusive mobile safari camp. Enjoy an evening under the stars followed by a candlelit dinner. Over night at the Dabdi dunes. Distance covered-9 kms. After breakfast we will start our safari through the Thar Desert. After a four hour ride we approach the oasis village 'Khetasar' where we visit the local weavers and the potters. Here lunch will be served by the oasis or at a village hut. After lunch resume the safari for the resort covering a total distance of 25 Km. Alternatively for those not wanting to proceed to the resort by camel, Jeeps will be waiting to take you to the resort and there the afternoon can be spent enjoying the swimming pool located on the highest sand-dune. Evening folk entertainment followed by dinner. Overnight at the resort in Osian. After breakfast take a short tour of the famous Osian Temples and then proceed to Sodakore. Osian temple is a cluster of ruined Brahmanical and Jain temples dating from the 8th to 11th centuries. The city was a major religious centre of the kingdom of Marwar during the Pratihara dynasty. 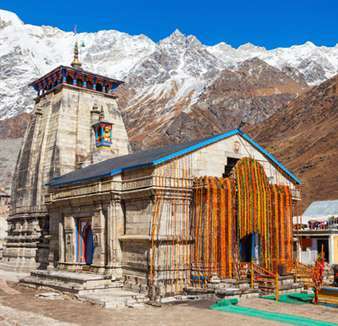 Of the 18 shrines in the group, the Surya or Sun Temple and the later Kali temple, Sachiya Mata Temple and the main Jain temple dedicated to Lord Mahavira stands out in their grace and architecture. Arrival at the nature resort in Sodakore which offers Organic food, farm fresh dairy and poultry products. In the evening enjoy the village safaris interacting with the vibrant village community and a walk around the Amla Orchard. 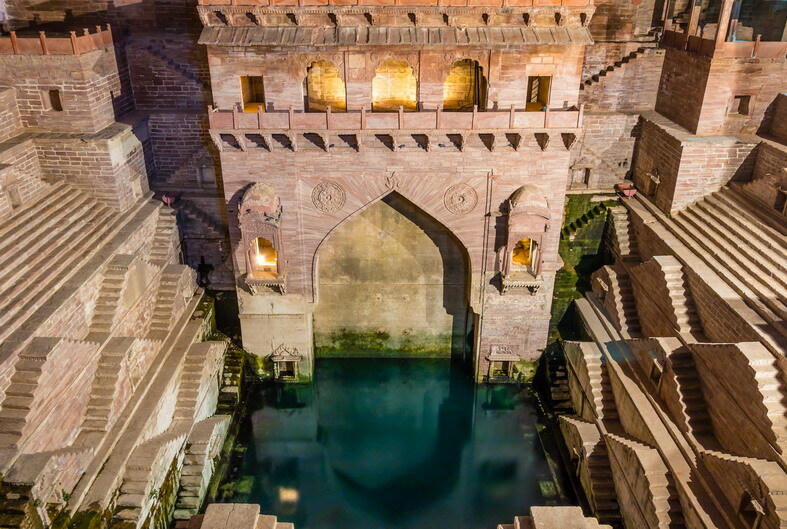 Check out of the resort after breakfast and proceed for sightseeing of Jaisalmer which includes the golden-hued Jaisalmer fort, Nathmalji ki Haveli, Patwon ki Haveli, Salim singh ki Haveli. After sightseeing of Jaisalmer proceed for the Sam Sand Dunes, the perfect place to enjoy & experience a desert life. Enjoy the sun set on the back of Camel in the dunes followed by dance, music, cocktails and dinner in the dunes under the stars. After breakfast visit the Junagarh Fort, constructed between 1588-1593 by Raja Jai Singh, a general in the Mughal Emperor Akbar's army followed by the Karnimata Temple at Deshnok; famous as the rat temple. Also visit the prestigious camel breeding farm in the evening around 1530hrs and proceed to Mandawa, a small and bustling town in the Shekhawati region lying north of Jaipur. Its importance lies in the splendidly frescoed havelis or mansions - mostly constructed by the prosperous merchants, between the 18th and 20th centuries. Overnight at the hotel in Mandawa. After brunch check out of the hotel and visit the beautiful Havelis of the Shekhawati region on the way to Delhi. Arrival in Jaipur by the evening and check in to the hotel. 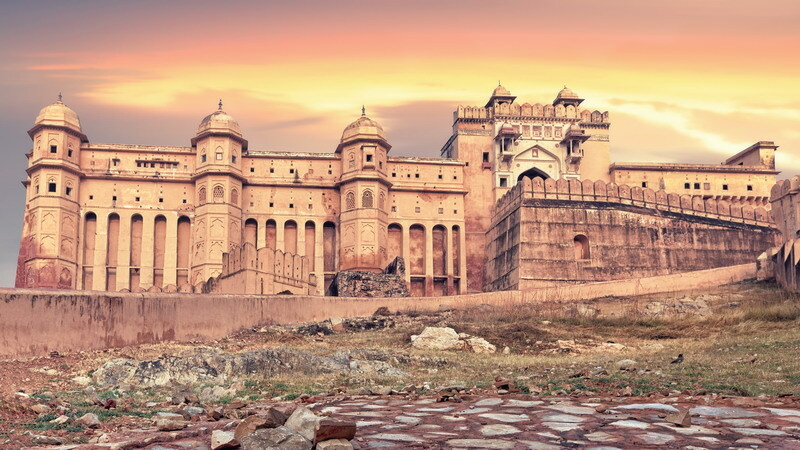 Full day sightseeing of Jaipur which includes places of interest like the City Palace, Jaigarh Fort, Hawa Mahal, Jantar Mantar and Amber Fort. 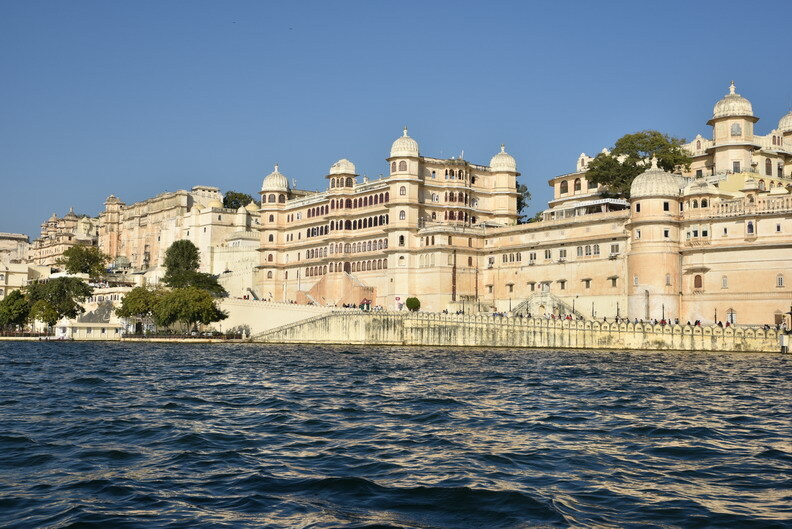 The steep approach to the Amber Palace gives you an opportunity to enjoy an elephant ride up the hill like a King and a Queen with a scintillating view of the lake below surrounded by hills. Late evening free for independent activities or shopping. Overnight stay at hotel. After breakfast check out of the hotel and proceed to Delhi Airport as per your further flight. Sodakore is a famous and culturally rich place located in Rajasthan, India. Tourist can enjoy luxurious camel ride, and spend a magnificent evening on the sand, enjoying the cultural programs that is organized for the tourist here. There are numerous mansions that show excellent craftsmanship, which is rich in this land. Salim Singh ki Haveli, Nathmal Ki Haveli, Chandrapradhu temple, Prasnath, Sambhavnath, Shantinath, and Rikhabdev are some of the places that will make your trip unforgettable. The climate here is extremely hot, during daytime and it is windy in the evening. Sam is a city that is located in Rajasthan, India. This place has majestic buildings, forts, and places that are worth visiting. Apart there you can enjoy a ride of Desert Safari. You can have a great time exploring the beauty of the Thar Desert, on the back of the camel. There are cultural and folk dances that are organized here during day time. Camel race, puppet shows, and others are programs are arranged here for the visitors. The climate here is extremely hot during summer, and the evenings are extremely cold and windy. The place is connected through roadways, airways, and flights.